And remind you that you don’t need to do it ALL yourself, the universe is ready and waiting to help! People who want to learn more about themselves & how they can utilize all their strengths to accomplish what they want in life! 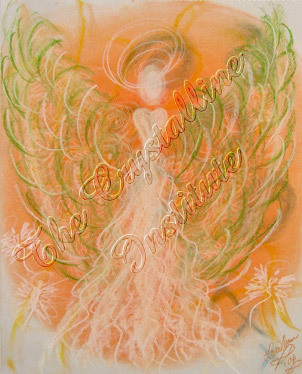 This Manifestation Angel reminds us that as co-creative forces in this grand playground called Earth, we have the innate ability to live the life of our dreams. All we truly need do is set the intention to create anew, focus on how great we will feel when this new creation takes form in our lives, and allow the universe to do the rest. This beautiful angelic artwork, was created by Mystical Artist and Angel Communicator, Lori Daniel Falk, to help you attract all that your heart desires.